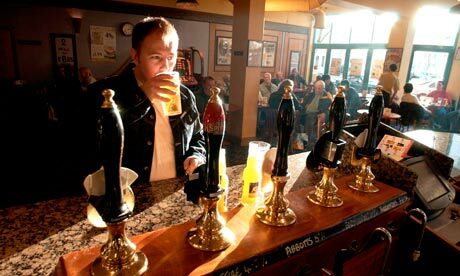 I’d do anything for a drink in the pub right now..
It’s always the same on Good Friday – once you know all the pubs and off-licences are closed you want nothing more. We can have wine or beer at home, like we do frequently on a Friday evening but on this day you would just want to go to the pub! As usual in the lead up to Good Friday we heard the publican and the restaurant lobby groups giving out quite rightly about the antiquated law, which has no sale of alcohol permitted in Ireland unless it is in a club or unless you are a guest in a hotel. Robert Cialdini, one of the foremost experts on influence, found that people value and desire something more when it is rare or difficult to obtain. He called this the Scarcity Principle. Across numerous experiments, Cialdini and others have found that making something rare (“only 5 left”), time limited (“one day sale”), or unique (“just for you”), increases its perceived attractiveness and value. He explains that this Scarcity Principle works on the idea of Reactance. Essentially, it happens because none of us like to be told no, limited in any way, or have our freedom constrained. So, when we think we might miss out, not be chosen, or be denied what we want, we “react”. That reactance makes us try all the harder and want what is denied us all the more. In some strange way maybe this is a great marketing trick for pubs and restaurants as all of sudden we ‘desire’ a visit! Maybe pubs and restaurants should embrace the day and take the opportunity to do some minor renovations, repairs, spring cleaning or take some precious time off and get ready for that rush..
What are you doing to create some scarcity in your business? This entry was posted on April 18, 2014 at 6:15 pm and is filed under Hospitality, Ireland, Marketing, Motivation. You can follow any responses to this entry through the RSS 2.0 feed. You can leave a response, or trackback from your own site.